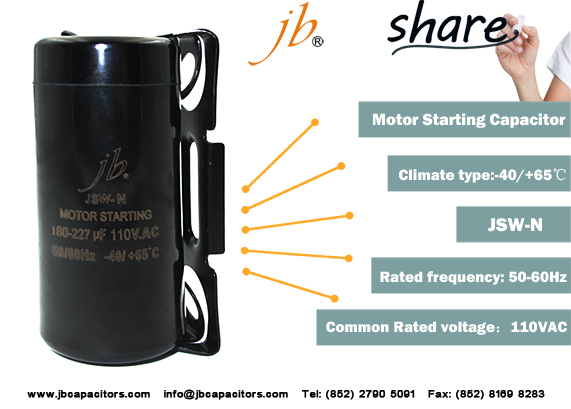 The motor capacitors is widely used as the starting and running of AC single-phase synchronism motor at 50Hz/60Hz frequency power. 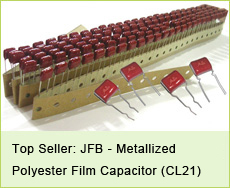 jb Capacitors are manufacturing full line of motor starting capacitors, with 28 different types, including CBB60, CBB61, CBB65 motor capacitors. With their good characteristic of self-healing and long life-span, our motor capacitors are extensively applied in motors,air conditioners,water pumps,compressors and refrigerators etc. 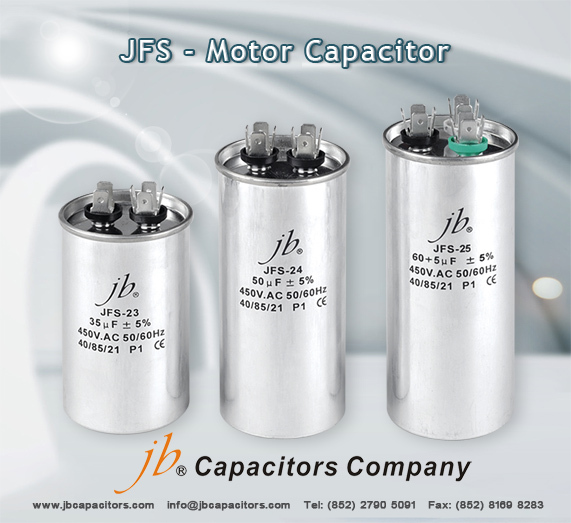 The JFS series motor capacitors operating voltage is fixed at 250VAC, 450VAC. And have wide capacitance range:1uF~100uF. The operation condition: -25'C~+70'C. The standard capacitance tolerance: ±5%, ±10%. When we ask our customers the reason why they want to change supplier, most of their answer is looking for better quality. Some customers bought from distributors before with uneven quality, some imported from inferior manufacturers with very low price. But finally they wants higher quality and turn to us. 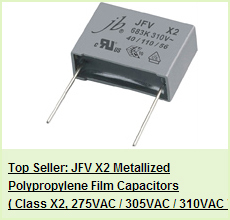 You can obtain cost-effective capacitors with High Quality & Reasonable Price here. Stay with us, you will be pleased with our quality, professional and excellent service! 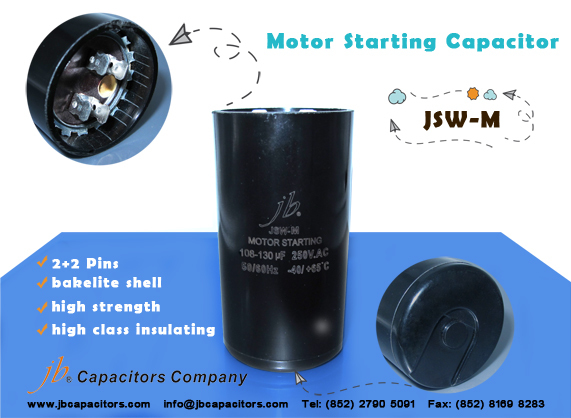 jb Capacitors can produce nearly 30 types of Motor Running Capacitors and at least 3 types of Motor Starting Capacitors. We are very proud of this production line. 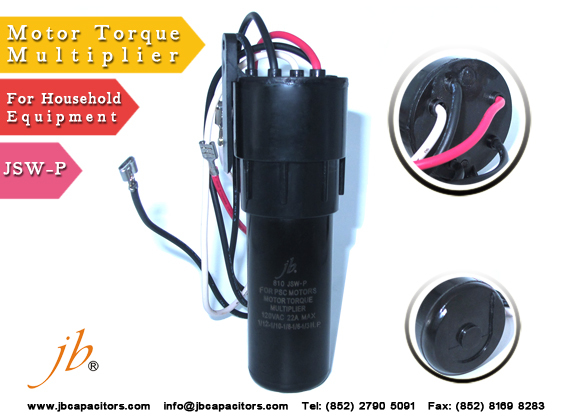 In this case, we specially designed a comprehensive leaflet for all Motor Capacitors . Following is JFS comments from one of our customer originally. You will like our quality very much! 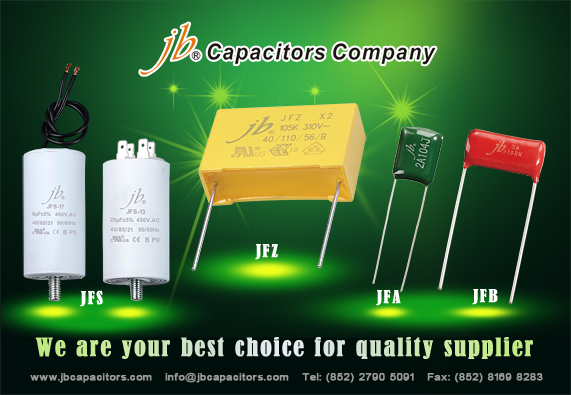 "About JFS quality, for now we are really satisfied of quality of capacitors, but as you know we are still waiting for opinions of customers. Of course after some time "JB" should became a strong brand in our offer and I will tell you more about that. We are thinking about became your distributor." 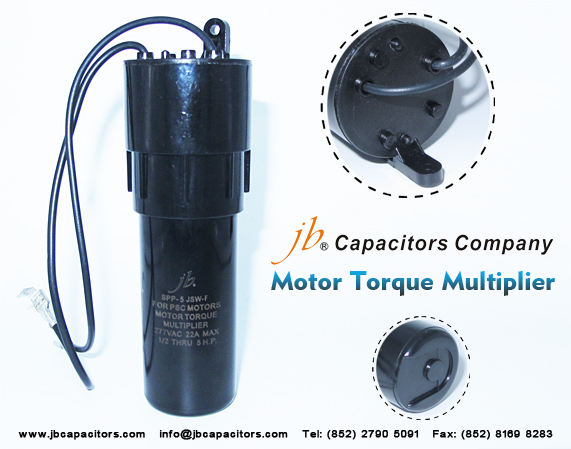 jb can do custom designed motor capacitors leaflet now. Do you feel interested in it ? If yes, please do not hesitate to contact with us right now. This is a very efficient promotion tool for product introduction. 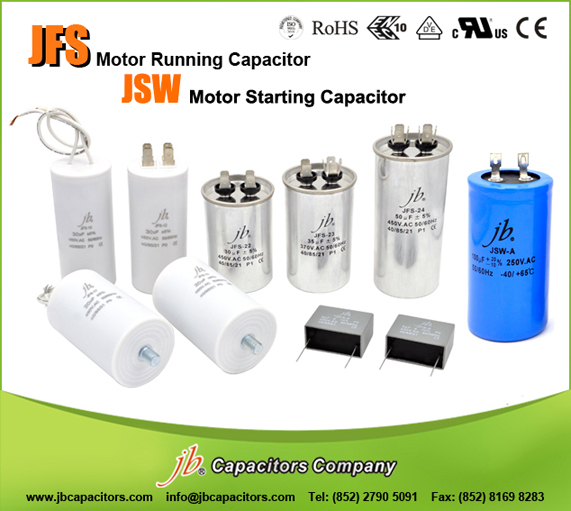 jb Capacitors developed more production lines for motor capacitors since last year, now we have 28 types of JFS motor running capacitors, and JSW motor starting capacitors. 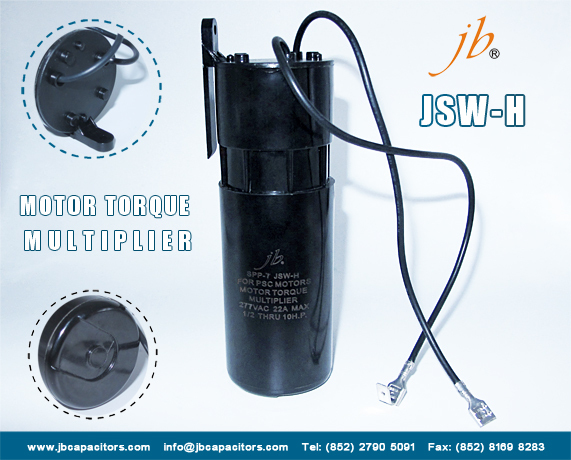 CBB65: Motor Running Capacitor (JFS-22~24), and JFS-20, JFS-21 are fully encapsulated by retardant epoxy resin. No need the case cover anymore. By doing this, the products will have high reliable and smaller size. 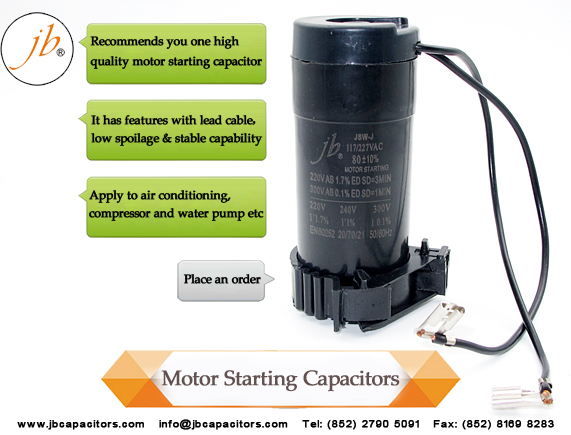 Well, what is the difference between motor running and motor starting capacitors? here below we summarize for you. 1. Different Performance: running mean keep working, while starting purpose just let the machine to start, and the working time only last for few seconds actually. 2. Different Stuffing: CBB60, CBB61 are filled with epoxy resin, CBB65 are filled with refined castor oil and wax, and CD60 are filled with asphalt. 3. 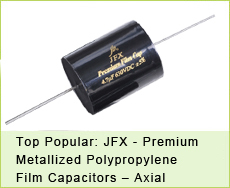 Different Dielectric: The dielectric of starting capacitors is Aluminum foil, while in running capacitors, it is metallized polypropylene film. 4. Different Capacitance: Running capacitors is started from 1uF (1uF~150uF), while Starting capacitors is started from 50uF (50uF~1500uF).